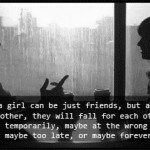 A guy and a girl can be just friends, but at one point or another, they will fall for each other…Maybe temporarily, maybe at the wrong time, maybe too late, or maybe forever. 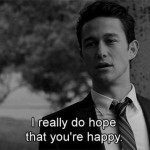 I really do hope that you’re happy. We’re weirdos. But that’s who we are. 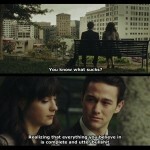 And that’s fine.